I am not sure if you are aware of it, but starting next year Microsoft is changing their Internet Explorer upgrade policy. 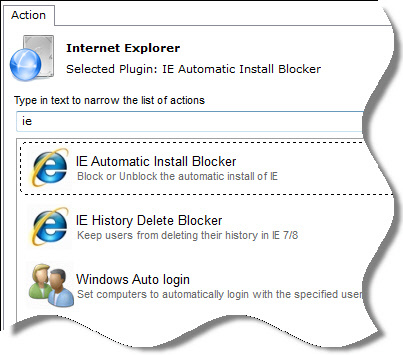 Specifically, they will be putting IE updates into the standard automatic update cycle. 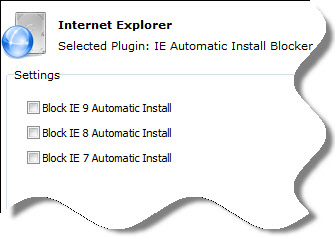 This means if you have an older version of IE, it will automatically get upgraded. Many organizations have piles of Web applications that cannot work on anything but a specific version of Internet Explorer. I would not want to come into the office one morning to find out a few hundred computers now have IE 7, when a critical web app requires IE 6. Thankfully Microsoft has provided three registry keys that will prevent the automatic install. A quick and easy way to make these changes is to use our tool, Network Administrator. It is free for personal and commercial use (up to three computers at a time). Are you sure about this steve. Does not sound right to me. They are going to start in asia and slowly move through other parts of the world. What a big slap in the face this would have been for me. Thanks for the heads up steve. No Problem Mike. I was surprised when I saw it too. Hopefully this will get developers to change their ways and not make their site dependent on one version of a browser…but until then we have to deal with what we have running. I can see why they are doing this. Chrome has done this since it was released, and frankly it is a great way to update. On the flip side I run a small organization and this works fine for me. What about those big companies that are *required* to certify a version of IE before it can be used? Keep up the great tips steve. Thanks. Thanks for this Steve, after my last email to you I am glad you made this change to Network Administrator & posted this so that more people are aware. Thanks for the post Michael…did not think about this until you asked. I think many people will be surprised MS will update IE like this. Thanks for the information steve. I had no idea this would happen. I have some web based software on my network that *requires* IE 6 to work. Our employees use firefox to browse the web, but still need that version of IE to work. If it upgraded on me, I would get a boat load of anger directed my way! Have you looked at ThinApp, you can virtualise the IE6 browser and that web based software / shortcut & turn it into a working app that you can move from Win XP to Win 7. Then it wouldn’t matter if IE was upgraded. Michael. Many thanks for your posting. I too have the same issue here at a hospital that I work at. I will look at this ThinApp solution. It could really help us. Good tip steve. I knew about this change, and was looking to use the blocker toolkits from MS, but like the Network Admin solution a lot better. Steve, any idea if this applies to Windows 2000? He. he. he. Windows 2000. What about Windows NT 4? Just kidding steve. Thanks for the tip btw. Will make me look good at our next IT meeting. My boss has no idea this is about to happen. Any idea when Microsoft will start this roll out in North America? I think this will all happen in North America starting March 21st, 2012. You might want to double check that…since that is just off the top of my head. I think you are remembering from last year when IE 9 was going to be pushed out, but they did not do what they are doing now. Your right, your right. Still in a brain fog from sleeping in too late during the holidays. Got to get my Coffee! It looks like they are starting it this week in Brazil and Australia, but no firm dates on the other countries. So your best bet is to block it asap!